“AWESOME to see that you have a FB page!!! I cannot tell enough people how much fun it was to have you at our last birthday party!! AMAZING balloon creations....even the adults were oooh-ing and ahhh-ing!!" Tracy G.
"Sheryl, We certainly enjoyed having you – what marvelous, delightful work!" "I love your balloons Ernie!!! You are an incredibie artist!!" 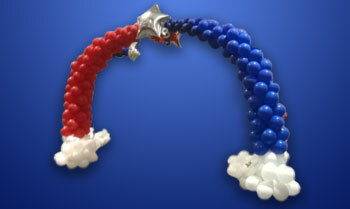 Awesome, beautiful amazing balloon creations — amazing decorators — super-excellent service! Balloon Decor – SA offers a selection of the most beautiful balloon decorations for a variety of occasions. Customers that hire us to decorate for their special occasion with our wonderful balloon decor are blown away by the colors, the shapes and the motion. Colors are customized to satisfy the occasion, and all of our creations always arrive with a large “Wow” factor. 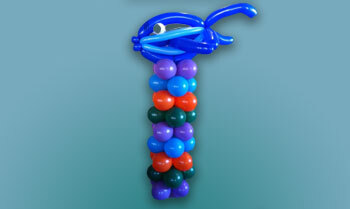 Balloon decor can be created with brilliant color combinations, various shapes and multiple balloon sizes. Other occasions that would benefit from our awesome balloon decorations — weddings, anniversaries, Bachelorette parties, graduation parties, Quinceañeras. and more. Let us make your next event into an even more memorable! 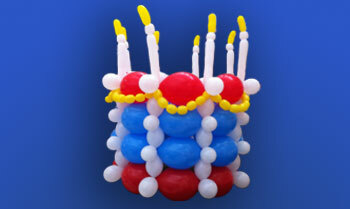 We also offer some fantastic balloon decor designs that are latex-free! If you are looking for the best balloon artists and face painters in San Antonio, check out the Balloonamations website. 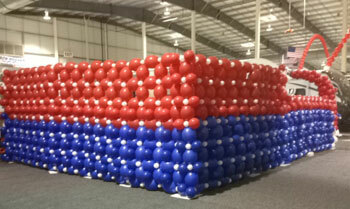 Our balloon decor will add color, motion and fun to just about any type of event. to discuss your entertainment/decoration needs.